American Classical Pine Fireplace Mantel, Ca. 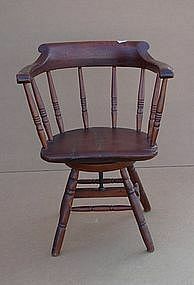 1835 Rare Federal Side Chair, probably NY, Ca. 1815 American Painted Brace Back Windsor Armchair, CT, late 18th C.